individuals affected by disaster or heartbreak and those whose live life in unique and inspiring ways. Newspapers first began publishing feature stories inorder to appeal to readers who wanted to read about more than government and the economy. They were controversial, sensational and scandalous. They were part of an era of “yellow journalism,” and newspapers were chastised for publishing them. However, feature stories evolved and became an accepted part of newspapers. In fact, news and feature stories are now intertwined in many ways, with news stories containing many elements once reserved for feature stories, and vice versa. To be a features reporter, one must be versatile, artfully blending facts with anecdotes, executing long- and short-form writing and gaining access to individuals of all kinds. It requires persistence, understanding, an an ability to listen. Saul Pett, Pulitzer Prize winner and former correspondent for the Associated Press, was known for his ability to use metaphors in a compelling way. He would write page after page of them, eventually selecting the best to be included in his stories. 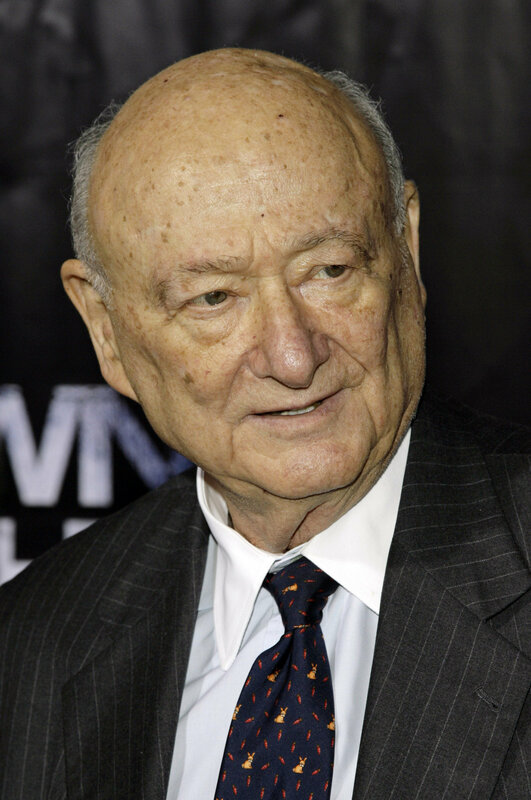 In “Koch Grabs Big Apple and Shakes It,” a profile story about former New York mayor Ed Koch, Pett blended compelling anecdotes, all of them serving their purpose in advancing the story. In May 1980, a large tanker crushed into the Sunshine Skyway Bridge in Tampa Bay, Fla., causing a large portion of the bridge to crash into the bay. John Lerro was driving, and in the aftermath of the crash, he experienced personal tragedy and overwhelming regret. Finkel was able to share Lerro’s unfortunate situation in his story, which is filled with a sense of remorse. It is Finkel’s use of storytelling quotations that sets this story apart and highlights his ability to truly listen. An ability to tell a compelling story is also seen in “Against All Odds,” the profile story of a young man living in Washington D.C. The Wall Street Journal’s Ron Suskind was able to share the story Cedric Jennings to illustrate a greater issue, the challenges faced by students in inner-city schools who are striving to succeed. The focus on all aspects of Cedric’s life – academic, social, familial – allows an audience to learn about the many issues students in Cedric’s situation face. Suskind published Cedric’s story in a book title “A Hope in the Unseen,” which chronicled his life from high school through his junior year of college. John Hirschbeck with a picture of his sons (photo by pulitzer.org). Lisa Pollak, producer at the weekly public radio show”This American Life, was once a reporter for the Baltimore Sun. She was able to use the story of a heartbroken family to discuss the impact of Adrenoleukodystrophy, ALD, a rare genetic disease that leads to brain damage. “The Umpires Sons” tells the story of two brothers who share ALD and the experience their father goes through as the disease progresses. The anecdotes and details she uses add an additional emotional element to the piece. 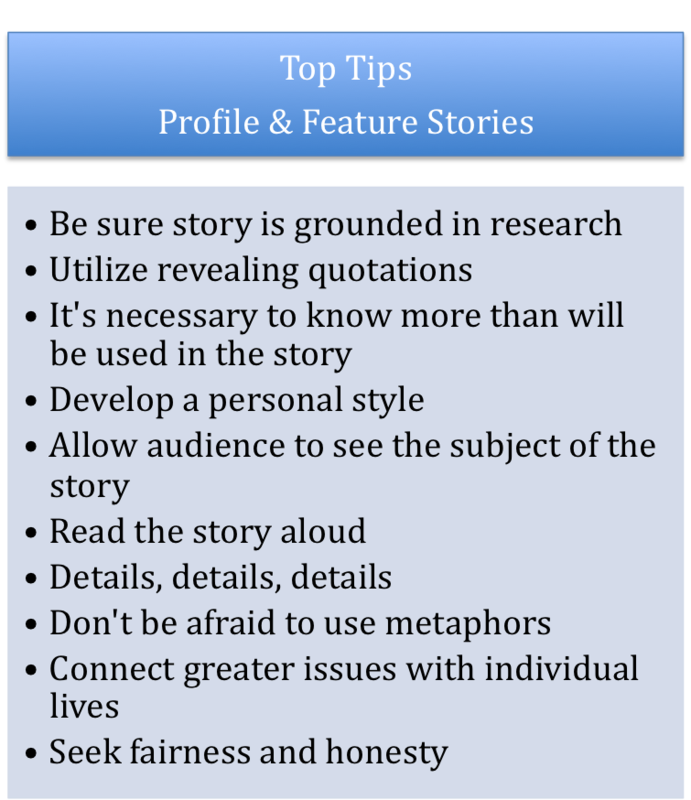 When writing feature and profile stories, it’s important to discuss facts and experiences, to present subjects fairly and with honesty and to listen for storytelling quotations that will allow the story to sing. It’s a significant responsibility – people want to read about people.